We are greatly leveraged by a sophisticated manufacturing unit with hi-tech machines and equipment that operate at maximum installed capacity for large scale production. Our technical team, in charge of this unit, runs the operations on well oiled wheels that do not allow for system breakdown or failures. The team’s great expertise and deep knowledge of the machines help us in keeping the unit in perfect running condition. Our team sources the machines from most reliable vendors and provides us with the technical know-how. The entire equipment range has provision for product customization. 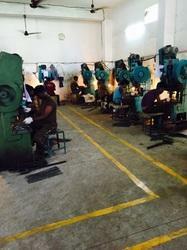 The unit is maintained, updated and overhauled on regular basis to keep the production cycle running on full capacity. We have a well equipped 5000 Sq. Ft. warehouse. Our warehouse stores finished Goods in a well planned manner & having more variety of products in stock for quick service to our valued customers. 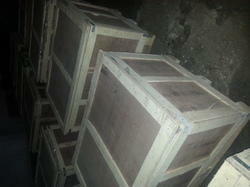 We have a team of warehousing experts who keep a proper track of all the products stored. The warehouse is divided into separate section to keep products in an organized manner. The proper maintenance and cleaning of the warehouse is done on a regular basis.